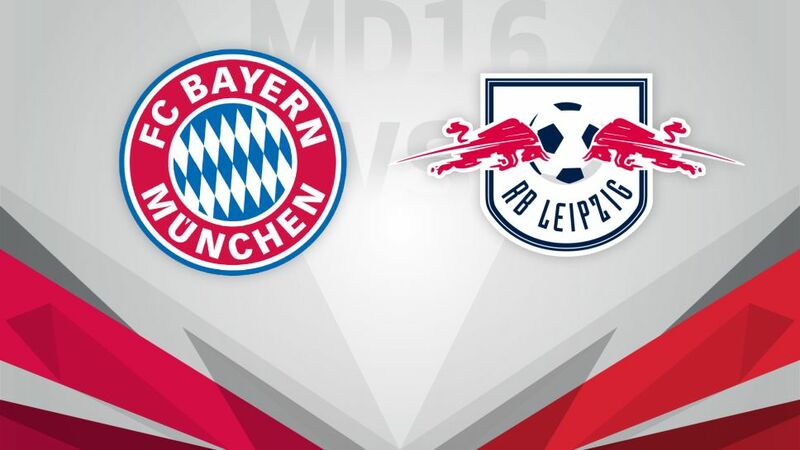 Bayern welcome Leipzig in a Christmas cracker on Matchday 16. It is the mother of all festive feasts for football fans worldwide on Wednesday night when FC Bayern München host RB Leipzig at the Allianz Arena (kick-off 20:00CET/19:00GMT), with a place at the top of the Bundesliga tree at Christmas awaiting the winners. Although Bayern are yet to hit the imperious heights of 2015/16 so far under Carlo Ancelotti's tenure, the Bavarians are still doing what they do best: winning games. The champions approach this on top of the league and off the back of a four-game Bundesliga winning streak, having scored 11 goals and conceded just two in that period. Robert Lewandowski is back in form in front of goal, while Thiago Alcantara is enjoying the season of his life in central midfield. Level on 36 points with Bayern at the top of the German football pile sit Leipzig. The Eastern upstarts have drawn admiring glances from across the continent so far this season with their swashbuckling attacking style and youthful outlook. Ralph Hasenhüttl has worked wonders with the promoted side, who come into this one boasting and the top-scoring German striker in Timo Werner (nine goals).